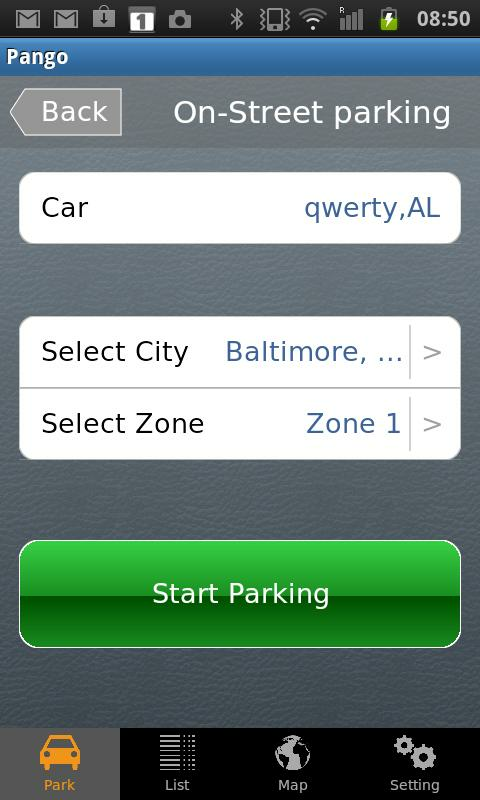 The Pango mobile parking application is theeasiest, most convenient and cost effective way to pay for parking. Please note that the Pango application is currently available inthe USA only. Pango is the only application that enables you to park inOn-Street locations as well as Off-Street garages. 1. Choose one of your registered vehicles. 2. Select your location. The Pango application will identify yourlocation automatically with GPS (if applicable by your phone andyour service provider). Parking has never been simpler. You will be able to see all your past parking transactions inthe application in a convenient manner. Pango is the most advanced mobile parking service in theworld. Pango is being already used by hundreds of thousands of driversworldwide, in 5 countries and over 50 cities. meterUP, powered by Pango, is the PhiladelphiaParking Authority's new way to pay for parking using your mobilephone. No more searching for cash to pay at the meter! Youcan also avoid parking tickets when your time expires by extendingyour parking session right from your phone!meterUP allows users to pay for and extend their parking session,conveniently from their mobile phones.In addition to parking payments, meterUP offers exclusive localdeals and discounts. Check out how much money you can save locallyin Philadelphia!Using meterUP enables you to pay for your parking in just a fewseconds:1. Register, then choose one of your vehicles.2. Select your location.3. Start parking.It's that easy! Parking has never been simpler.Pango operates the world's leading mobile parking system with 60cities active worldwide and more than one million users. Pango to nowoczesna i wygodna aplikacja umożliwiająca płacenie zaparkowanie za pomocą telefonu komórkowego, smartfonu lub tabletu.System umożliwia minutowe naliczanie opłat, dlatego kierowcy płacąjedynie za rzeczywisty czas parkowania. Pango to jedyna aplikacjapozwalająca opłacić parkowanie zarówno w miejskich strefachpłatnego parkowania, jak i na parkingach zamkniętych. Dzięki Pangoparkowanie zajmie Ci zaledwie kilka sekund! 1. Waplikacji wybierzesz jeden z zarejestrowanych wcześniejpojazdów. 2. Potwierdzisz swoją lokalizację. Aplikacja Pangoautomatycznie zidentyfikuje Twoje obecne położenie za pomocąsystemu GPS (jeśli jest on dostępny w Twoim telefonie) 3.Naciśniesz przycisk „Start” Parkowanie nigdy nie było takieproste! Dzięki aplikacji Pango możesz w łatwy sposób kontrolowaćwszystkie transakcje parkowania. Więcej o Pango: Pango tonajbardziej zaawansowany system zdalnego parkowania na świecie.System jest obecnie używany przez ponad milion kierowców, w ponad60 miastach, w 7 Państwach. Aby dowiedzieć się więcej, odwiedźnaszą stronę internetową – www.pango.pl lub zadzwoń na infolinię222-700-100, opłata według taryfy operatora.Pango is a modern andconvenient application that allows paying for parking via mobilephone, smartphone or tablet. The system allows minute billing, sodrivers pay only for the actual parking time. Pango is the onlyapplication that allows you to pay for parking in urban paidparking zones and parking lots closed.With Pango parking will takeyou just a few seconds! Just that: 1. In the application, youchoose one of the pre-registered vehicles. 2. You will confirm yourlocation. Pango application will automatically identify yourcurrent location using GPS (if available on your phone) 3. Pressthe "Start" Parking has never been so easy! 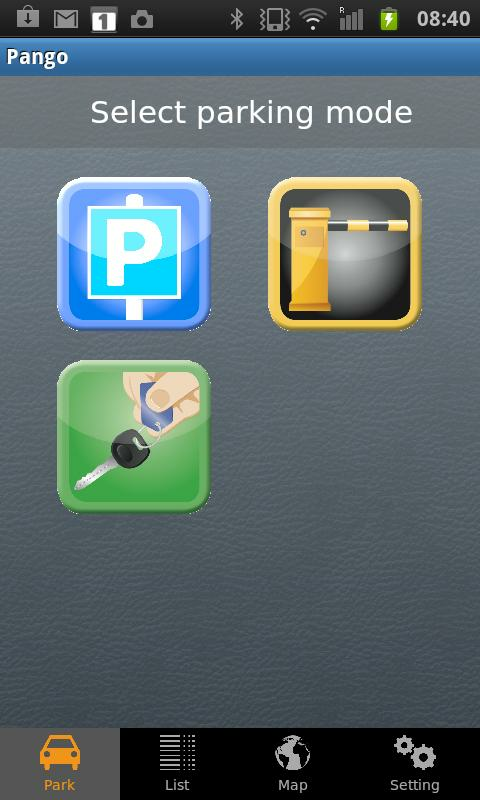 You Pango With thisapplication you can easily control all parking transactions. Moreabout Pango:Pango is the most advanced remote park in the world.The system is currently used by over one million drivers in morethan 60 cities in 7 States. To learn more, visit our website -www.pango.pl or call the helpline on 222-700-100, tariffs chargedby the operator.